Whether applying veneer or making a bent lamination, there’s no better way to achieve uniform pressure than by using a vacuum bag. It is easy to use and will work with even the most curved shape. Veneer can be easily cut with a straight edge and sharp utility knife. 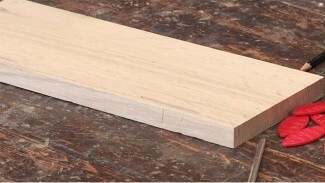 If the substrate is already the correct size, make the veneer slightly larger than the substrate. You will trim off any overhang after the glue is dry. If the substrate can be left slightly too large before veneering, make the veneer slightly smaller than the substrate. You can cut both the substrate and the veneer to size later. 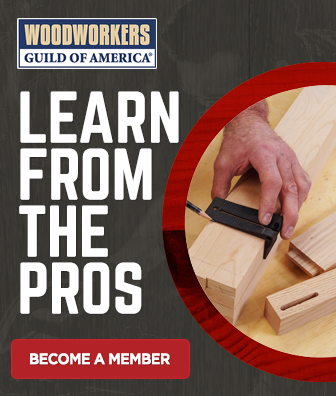 When cutting with the utility knife, don’t push down too hard or you risk cracking the veneer. 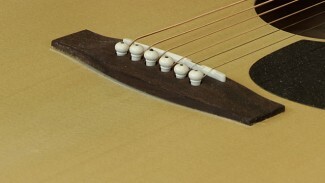 The veneer should be flat when you apply it. To remove any wrinkles or curls, spritz a little water on the area and press it flat with a household iron. While conventional yellow glue is fine for your everyday woodworking projects, it isn’t ideal for veneering. You should use cold press glue, instead. It will allow you more working time to get everything set up in the vacuum bag, and its thickness makes it less likely to bleed through the face of the veneer. Cold press glue is also less likely to creep after it dries. A vacuum bag is a great way to make sure the veneer is completely and uniformly drawn down to the substrate. 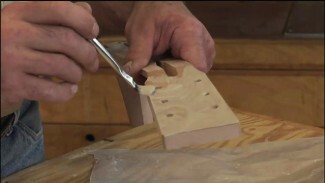 Once you’ve glued and veneered your project, place it in the bag and seal it. As you remove air from the bag, it will tighten over the material. Some vacuum bags use an electric pump, while others must be evacuated by hand. In addition to veneering projects, vacuum bags can be used for bent laminations, in which layers of thin wood are shaped by a form. Following the manufacturer’s directions, prepare the glue. Cold press glue often has to be mixed before it can be used. Spread a film of glue on the substrate and lay the veneer over it. To help keep everything aligned when you insert the pieces into the vacuum bag, you can bind the veneer to the substrate with small pieces of masking tape. If the vacuum bag requires it, insert the pieces into the breather bag first. Then, insert the project into the vacuum bag. Seal the bag and use the hand pump or electric pump to remove the air. It is OK to glue up more than one project at a time if they will all fit into the bag. Once the glue is dry, release the vacuum within the bag and remove the project. You can trim the excess parallel to the grain by following the edge of the substrate and slicing the veneer to size with a utility knife. 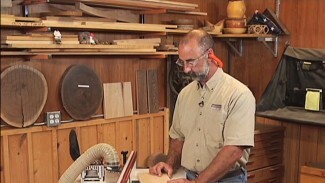 The cross-grain overhang should be gently cut with a fine-toothed hand saw. If the veneer you applied was smaller than the substrate, cut the substrate and veneer together using a miter saw or table saw.